Champagne ‘Lined-Up’ to Pop at Galway Races, Platinum Style! 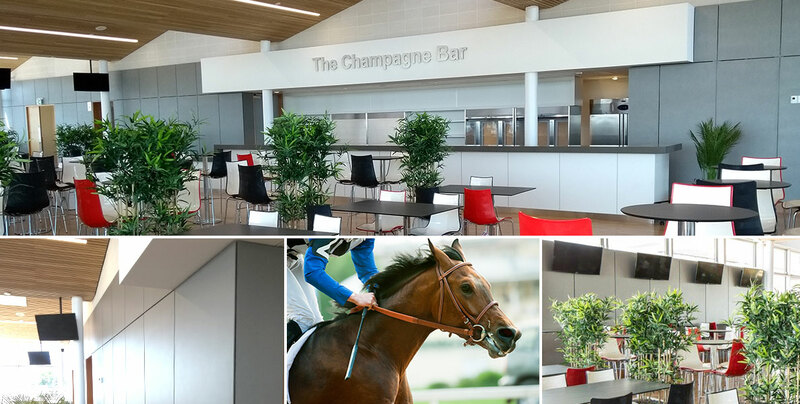 Swiss Facades were delighted to supply Swisspearl panels to the new Tote & Champagne Bar at Galway Race Course. The contractors Monami ‘went the full distance’ to make sure the project has been completed on time for the annual festive racing. Construction work started August 2017, replacing an existing Tote building for the stylish two storey chic venue. 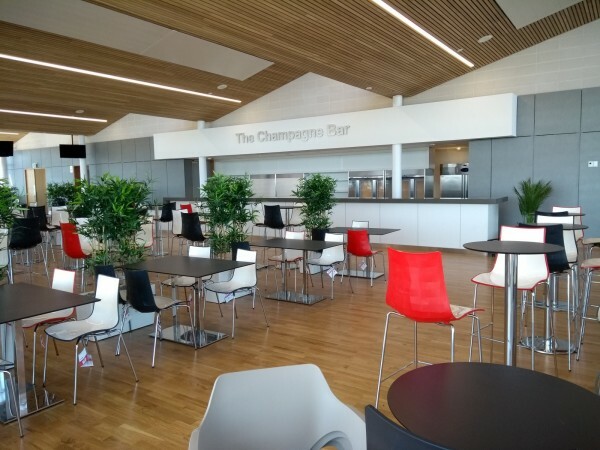 The Champagne Bar on the 1st floor will offer improved facilities and amazing views through the glass fronted balconies, which is sure to be a ‘winning favourite’ and get race goers in a flutter! 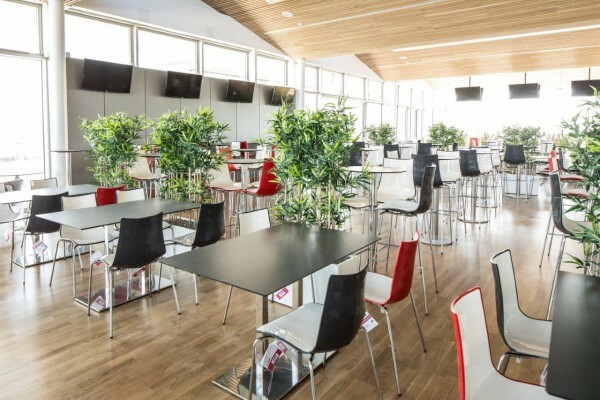 Architects Coady made the optimum choice of using Swisspearl Reflex Platinum panels as part of the high standard of decor to the interior. The ‘photo-finish’ result of the panels was expertly installed by Colum Breen of BCL Cladding. Galway Race Course at Ballybrit have been holding events yearly since August 1869 and has seen many developments over the years, making it into one of the worlds most renowned race courses, bringing thousands of people to the week-long events. The ‘count-down’ is now on for the grand opening on the 30th July and at Swiss Facades we wish everyone attending an enjoyable week of racing. 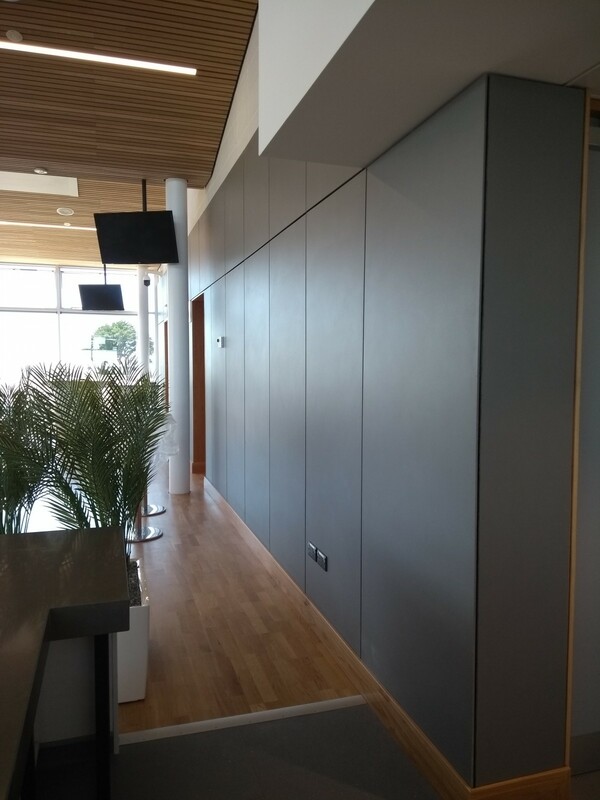 Why choose Swisspearl cladding panels? Wide range of stunning colours and finishes. Can support projects to achieve LEED platinum awards. Fire Rating A2 s1 do.